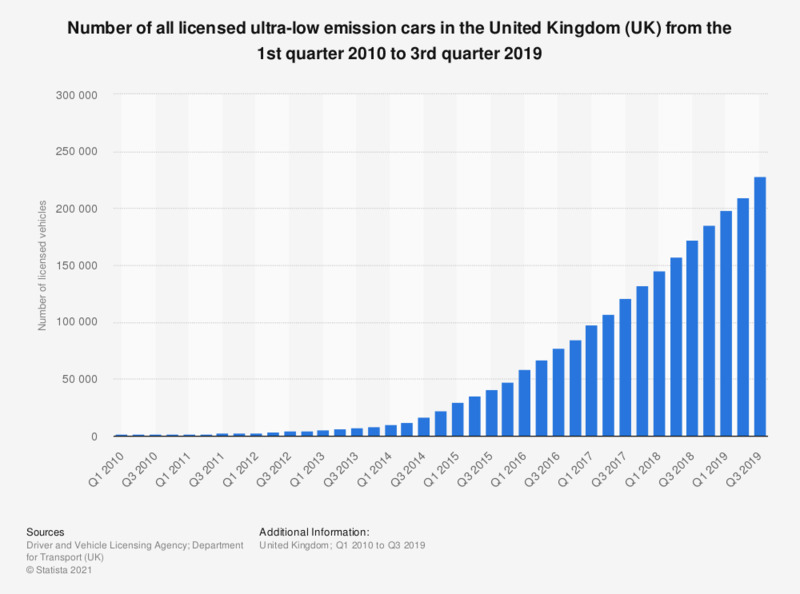 This statistic shows the increase in the number of all ultra-low emission cars licensed in the United Kingdom (UK) between the first quarter of 2010 and the third quarter of 2018. Ultra-low emission cars include both government grant eligible electric, plug in and hydrogen fueled cars as well as non-grant eligible low emission cars and quadricylce microcars. The number of ultra-low emission cars increased substantially over this period. By the second quarter of 2018, the number of ultra-low emission cars reached 172,030 vehicles.